What’s at stake in Sunday’s local elections in Turkey? On Sunday, 31 March, voters across all 81 provinces in Turkey head to the polls to select their local representatives, from city council leaders to village heads. 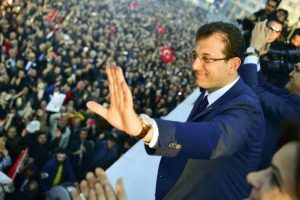 It will be the country’s first elections since last year’s Presidential Elections that the incumbent Recep Tayyip Erdoğan won in the first round. Since then the country has switched to a new presidential system of governance and many are billing tomorrow’s vote as a referendum on President Erdoğan’s performance. Local elections are held every five years in Turkey. Everyone aged 18 or over has the right to vote. At the last elections held on 30 March 2014, the AK (Justice and Development) Party received 45% of the votes, the centre-left main opposition CH (Republican People’s) Party 28%, and the right-wing MH (National Movement) Party 15%. The pro-Kurdish block of BDP (Peace & Democracy Party) and HDP (People’s Democratic Party) took 5% of the vote between them. Over 57 million people of Turkey’s 80 million population are eligible to vote in the 2019 Local Elections, which will return mayors for 30 metropolitan and 1,351 district councils. There are also 20,500 municipal and 1,251 provincial council seats up for grabs, as well as numerous local positions for muhtars and and councils of elders. There are two major factions contesting these elections. The People’s Alliance is comprised of the AKP and the MHP. Standing against them is the National Alliance, made up of the CHP and centre-right İyi (Good) Party. While not formally part of the National Alliance, the HDP has not named candidates in Istanbul, Ankara and Izmir to boost the opposition’s election chances. Nationally HDP has consistently polled 10% these past five years. 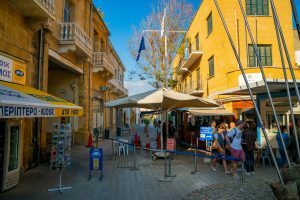 According to opinion polls, the economy could have a major bearing on how people vote locally on Sunday, with people particularly concerned about the high cost of living and poor job prospects. Inflation has hit 20%, while food prices have seen hikes as high as 30%, hitting Turkey’s poorest hard, especially following the devaluation of the Turkish lira. Turkish gross domestic product (GDP) per capita has also fallen, from $10,597 in 2017 to $9,632 in 2018. The currency’s crash last year has placed huge pressure on many-debt riddled businesses, while high inflation has decreased citizens’ purchasing power, in turn curbing consumer spending. Unemployment remains a critical issue in the polls. Nationally, those out of work now stands at 12%, with one-in-five young people currently unemployed. Research shows that other issues that have previously influenced voters, such as FETO and terrorism, feature far less prominently in these elections. Could Ankara fall to the opposition? According to recent opinion polls, the AKP looks poised to lose control of the capital for the first time in 25 years (AKP’s predecessor the Refah Party first won in 1994), with the CHP/National Alliance candidate five points ahead of his AKP rival. The 2014 Ankara Mayoral Election ended in controversy when CHP candidate Mansur Yavaş was set to win yet voters woke up to learn he’d lost by one percentage point to AKP rival Melih Gökçek. Numerous electoral irregularities emerged from the 2014 contest, but the Supreme Electoral Council of Turkey upheld the result. 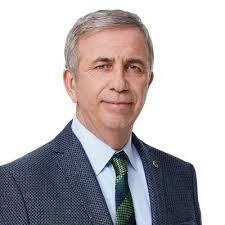 A lawyer by profession, Yavaş is back for a third attempt to win Ankara. This time he faces AKP’s Mehmet Özhaseki after President Erdoğan forced Gökçek to stand down in 2017. His replacement Özhaseki is the current Minister of Environment and Urban Planning and a former Mayor of Kayseri. AKP will be hoping to hang on to Erdoğan’s hometown of Istanbul, where the party have pitted a veteran, former prime minister Binali Yıldırım against CHP’s fresh-faced Ekrem İmamoğlu. The Kurds, who make up an estimated fifth of the population, could swing the result away from the ruling party though. Polls also indicate other big cities such Bursa, Adana and Antalya could also slide into opposition control. Turkey, the US and the Middle East: a damning divergence?